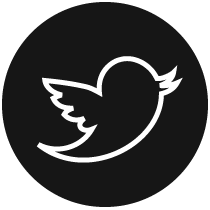 Today's project is something that I've been wanting to do for quite awhile. I had this idea for a living wreath in the back of my mind, and it took me a few months to figure out just how I was going to do it and make it work. 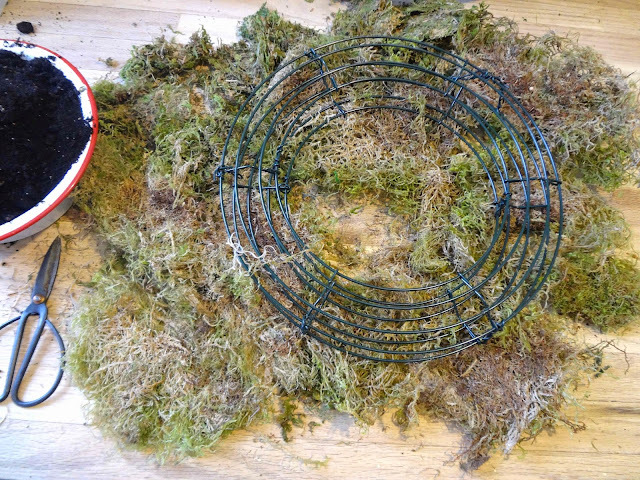 At first I thought that I might use landscaping fabric for the wreath backing, but after doing some research and having a look around the good ol' www, I found a much cooler solution for the back or body of the wreath: moss! The way the living wreath works is this: you create a wreath body that is filled with potting soil and held together by moss. Once you've done that, you can plant anything, and after a couple weeks in a horizontal position, it will be ready to hang for a whole summer! 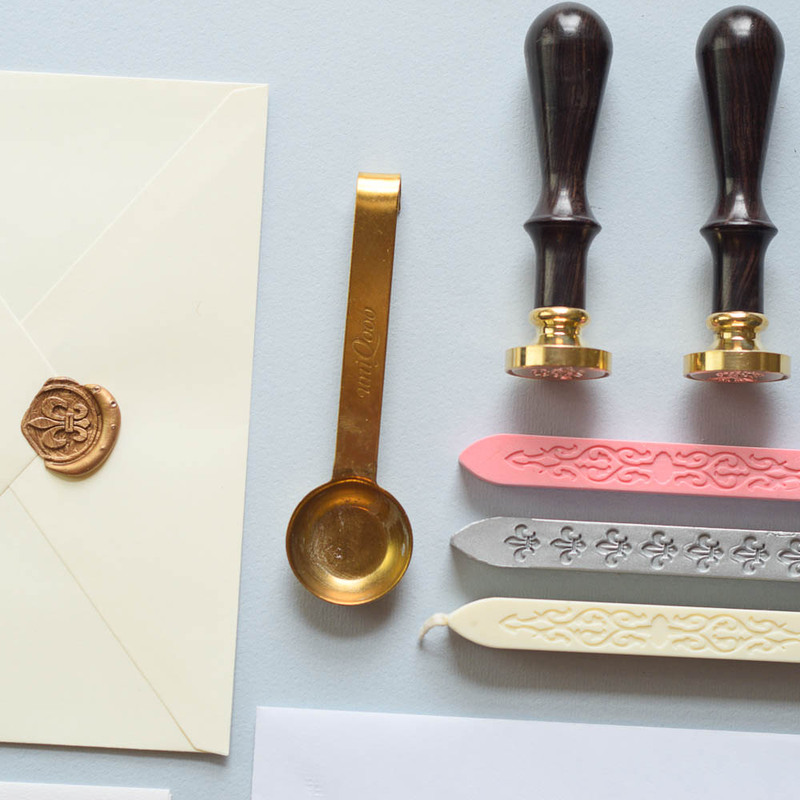 This project is very straight-forward, so long as you have all the supplies! 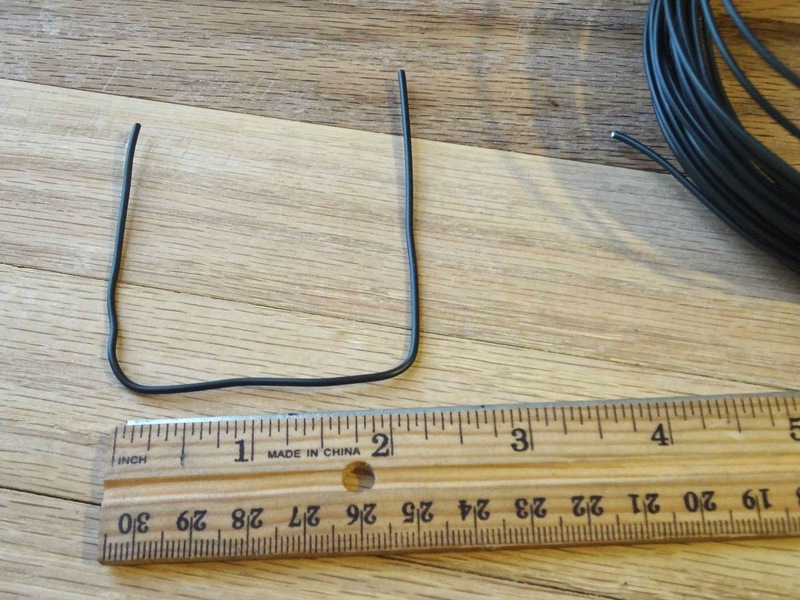 Look for wreath forms, floral wire, and bags of sheet moss at craft stores; and try the hardware store for potting soil, water retention crystals and 22 gauge copper wire. 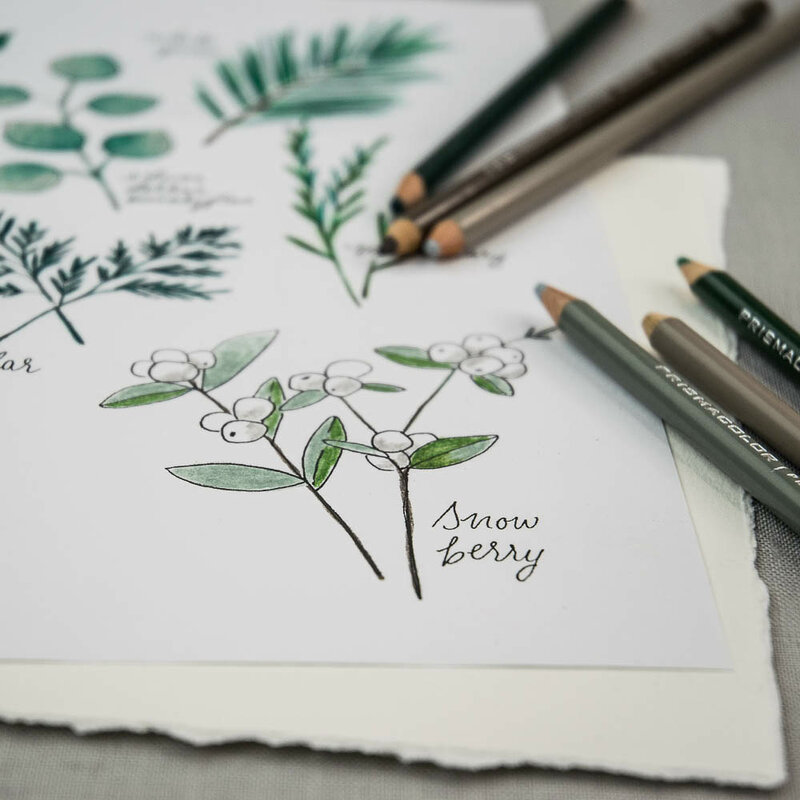 A note about sheet moss: it is not actually a sheet! 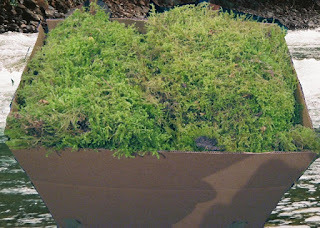 The term sheet moss refers to the type or variety of moss, also called shag moss. In preparation for this project, I learned more about moss than I ever thought I would need to know! 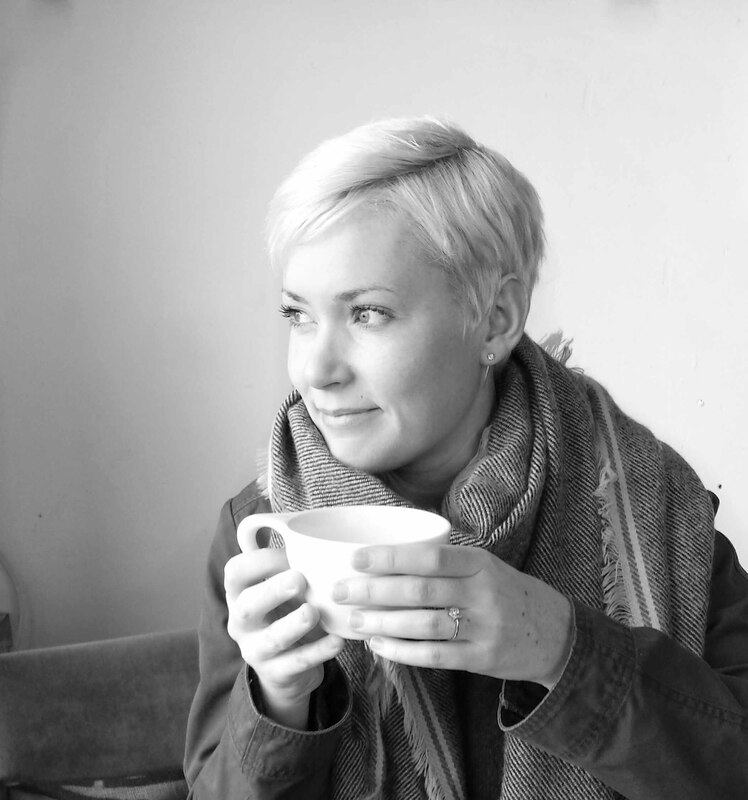 One of the biggest questions that I grappled with (in terms of moss) was is it ALIVE? I didn't understand how something that looked so green and lively could be sold in a plastic bag at the craft store. Turns out most of the moss that you'll come across is preserved. It's coloured to look like it would on the forest floor, but it's actually dried. 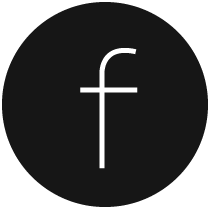 For this project you can use either preserved or fresh moss. Live moss is probably better, but it can be harder to find. You can search out preserved sheet moss at craft stores, and live moss at nurseries and florists (although many florists also sell preserved moss- it's confusing, I know!). Just don't use the bagged moss from the dollar store, it is dry and dusty and just doesn't work well for this craft. The first step is to build yourself a three dimensional wreath form. 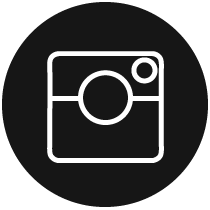 Begin with two 8 or 10" wreath forms (any bigger will be very heavy and more costly in terms of supplying the moss and plants). 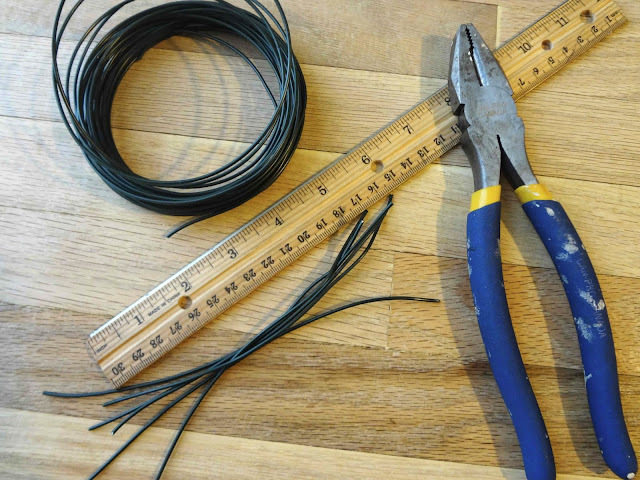 Take the floral wire and cut 8 pieces, each six inches in length. 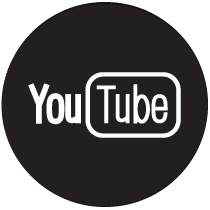 Take each piece and bend in two places so that you have a middle section of 2 inches in length. 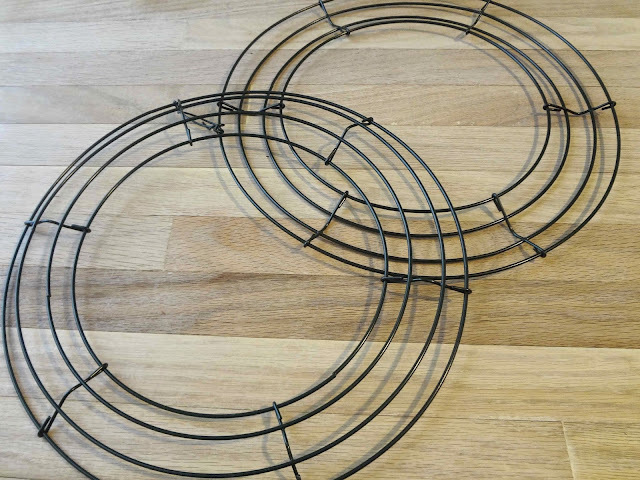 Use the sections of floral wire to connect the two wreath forms and create one three-dimensional wreath that has a height of at least 2 inches. 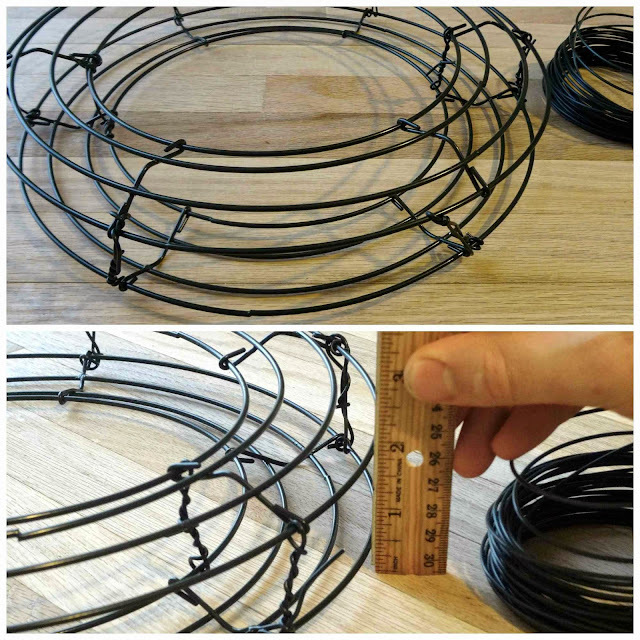 I used eight pieces of wire, one at every joint on the outer side (six wires) and two on the inside of the form, for a bit of added strength. 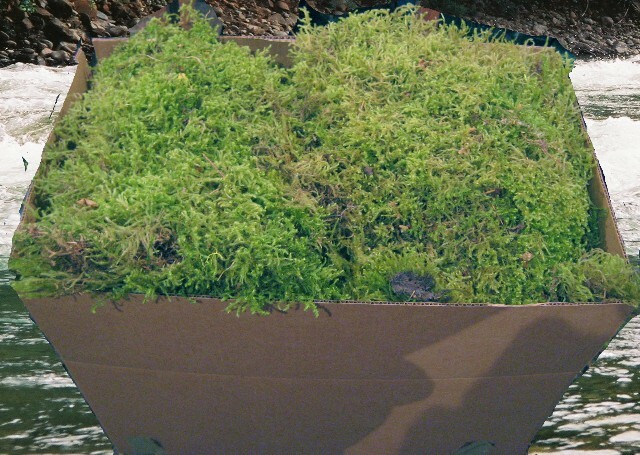 Take all your sheet moss and lay it out on your work surface to create a 'bed' of moss. Lay out a nice large area of moss, as you'll need to use it to wrap around the wreath later. Centre the wreath on the bed of moss. Time to prepare the soil. 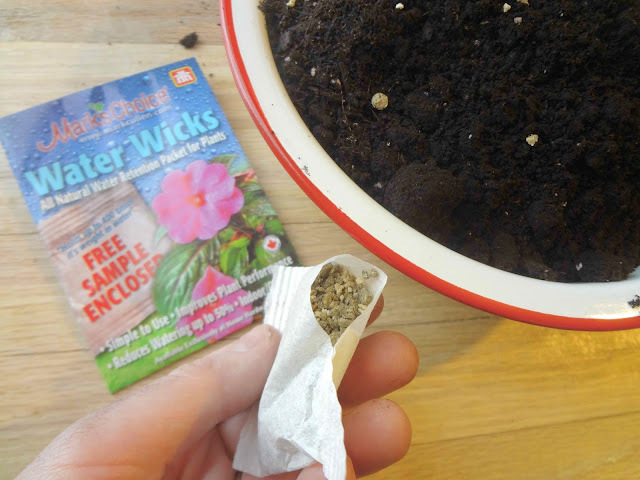 Mix your potting soil with 2 or 3 spoonfuls of the water retention crystals. This step is important because when the wreath is hanging, water will run right out of it. Including crystals that have the ability to hold up to 500 times their weight in water will insure that your soil stays moist between waterings and your wreath does not dry out and wilt. I got a free sample of 'Water Wicks' crystals at the hardware store, but if you have trouble finding a similar product, another option is to cut open a diaper and use a few spoonfuls of the crystals found in the lining (same kind of thing, they retain water). Add about a 1/2 cup of water to the potting soil and crystal mix and let it sit for at least half an hour. 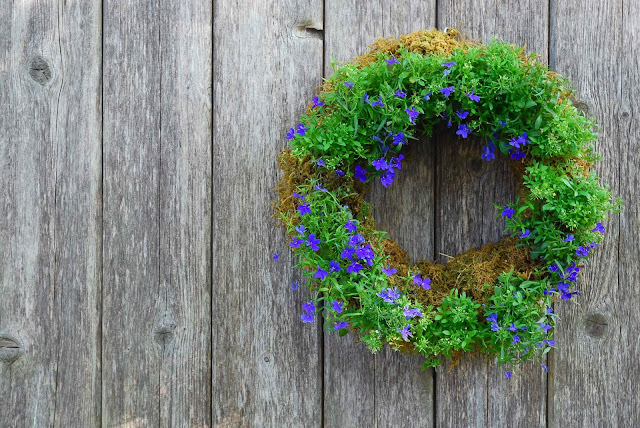 When the soil is ready, begin to pack it into the body of the wreath. Add more water if you find that you need to make the soil more damp and packable. 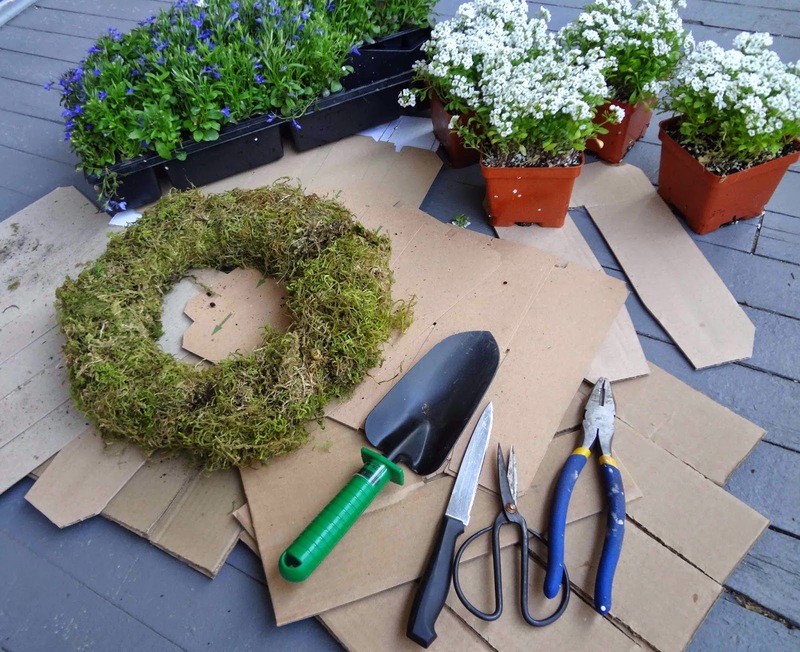 Fill the entire wreath body with potting soil. 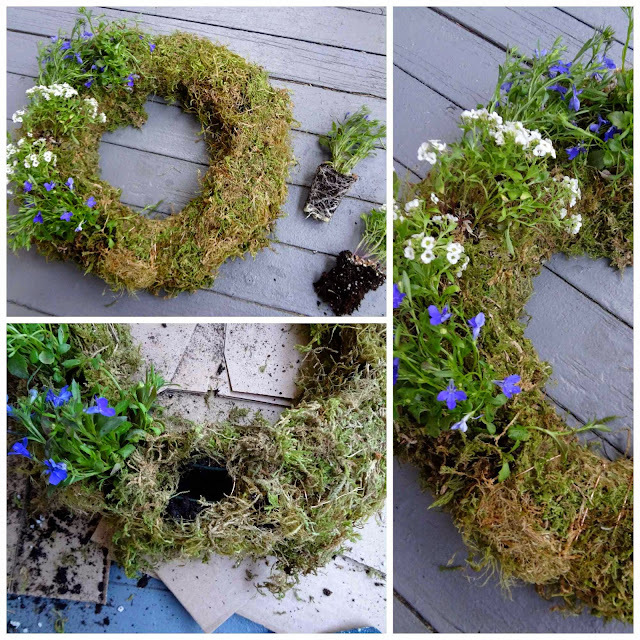 When all the soil is in place, lift the moss and wrap it around the form of the wreath. Use your 22 gauge copper wire and begin to wind it around and around, holding the moss in place, and leaving only an inch or so between sections. 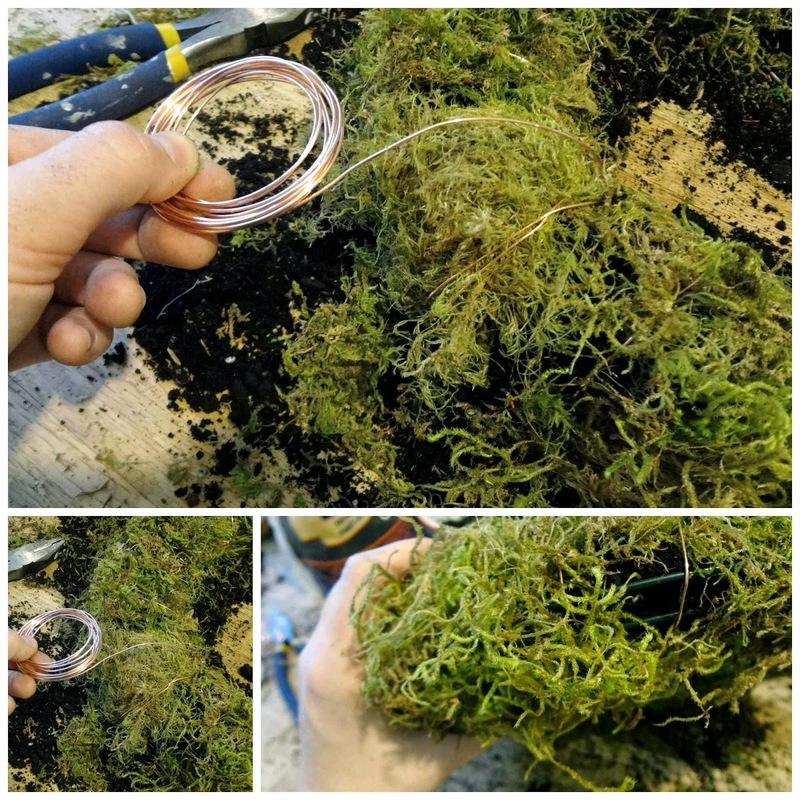 When you are finished, if you have any little holes in your moss covering, just stuff extra moss pieces underneath the wire. Voila! 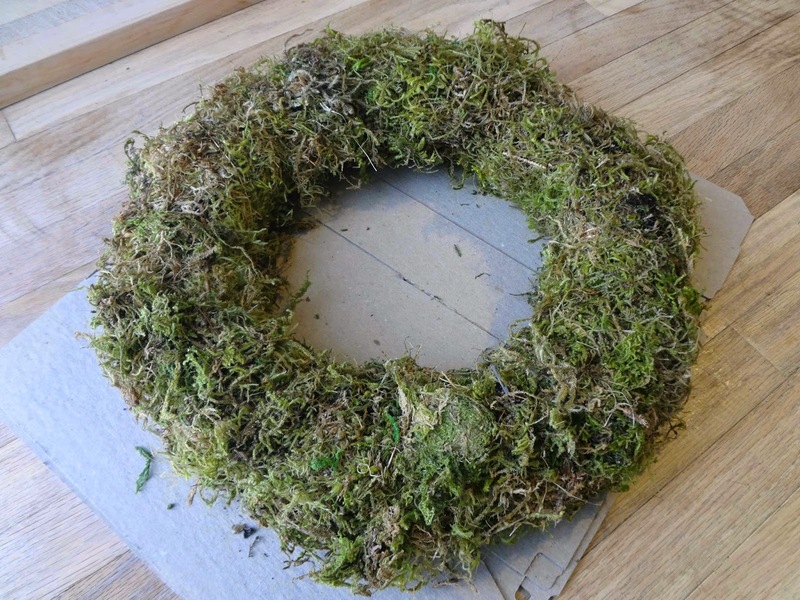 A moss wreath! 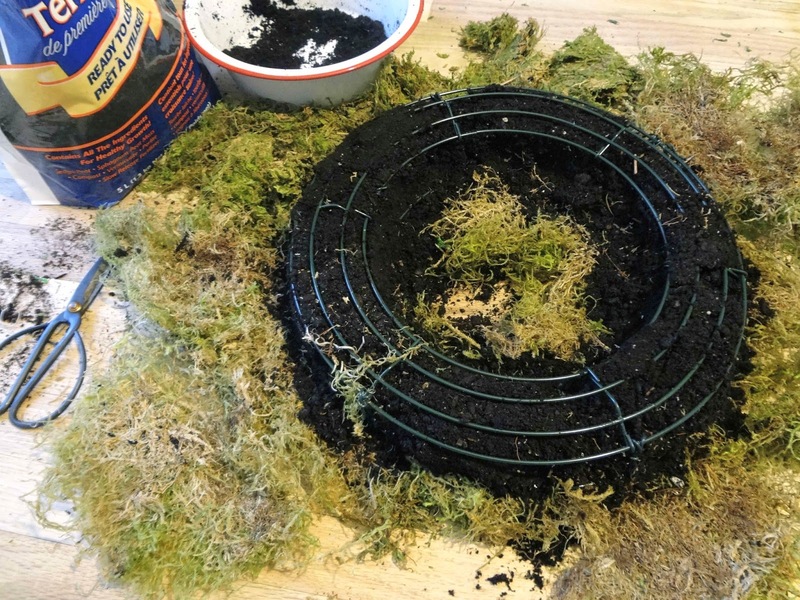 The process of adding the soil, moss, and wire is pretty messy. And sometimes it feels like the whole thing is just going to go to pieces, but once you have the wire wrapped all the way around, the wreath becomes sturdy and contained, and the moss does a really good job of holding all the soil inside. Time to start planting! Many plants are good options for preparing a living wreath. Succulents are particularly popular, but I imagine they could get a bit expensive. 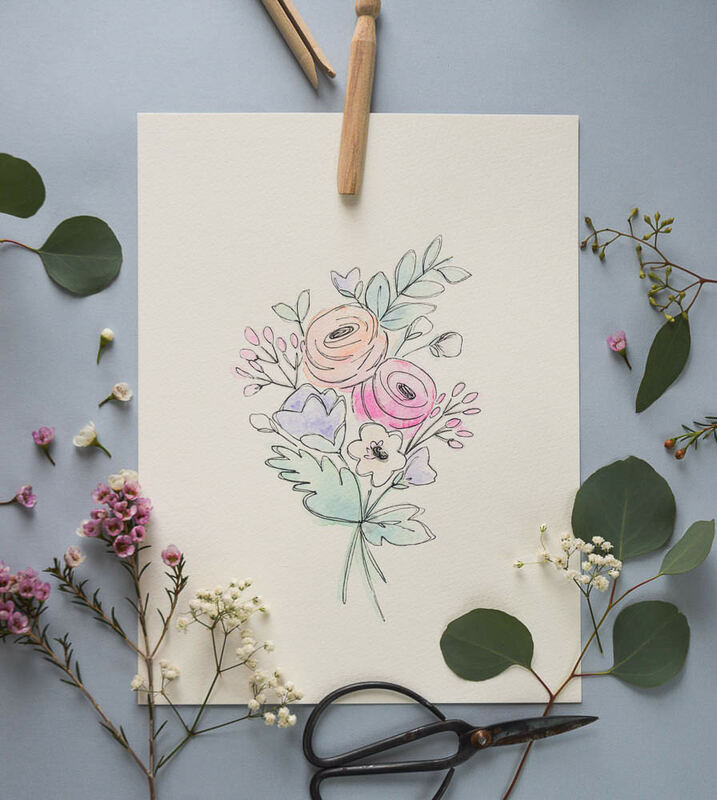 I choose Lobilia and Alyssum because they are both delicate, low-lying flowers that lend themselves well to wreath making. Any flower or plant that is vertically inclined is probably not the best choice. Planting the wreath is fun, if a little bit tricky! Make a small hole in the moss and soil with your fingers, take a little section of flower and root, and shake the excess soil off the roots. Now the tricky part: squish the flower into the hole you made as best you can. When I was planting, I had no idea if it was going to work out. I had to work so hard to jam the flowers into the wreath that I was sure they would all be dead the next day. But surprisingly, they were fine! Just try your best to be gentle, but don't worry if you're not. 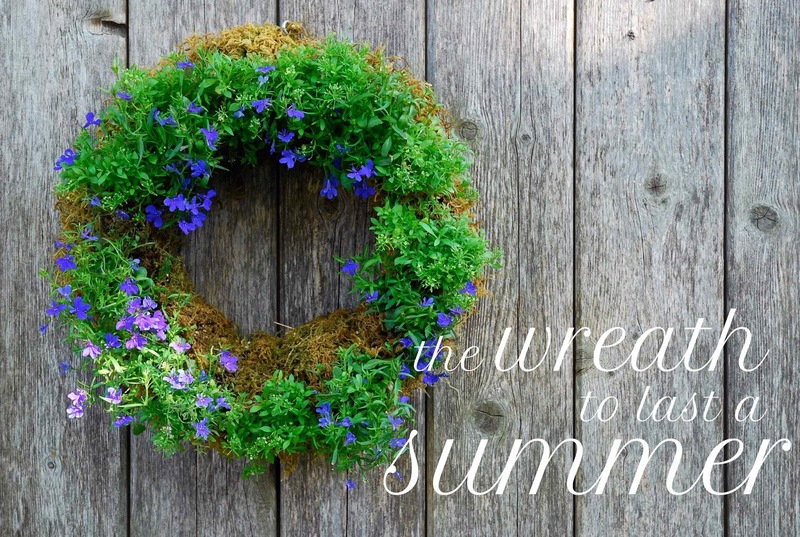 When the planting is done, give your wreath a good watering and let it rest in a horizontal position for two weeks. Water your wreath as you normally would, but from time to time, give it a good soak by letting it sit in a sink or basin of water for 5 to 10 minutes. Time to hang your wreath! Find yourself an S hook and eyelet screw that are of similar size and that fit together. Then simply slip the S hook through the moss and onto the wreath form. 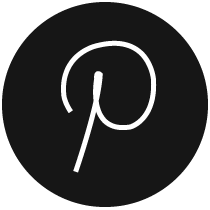 Screw the eyelet screw into place on a fence, door, post, or anywhere else you'd like your wreath to hang, and then slip the other side of your S hook into the eyelet.